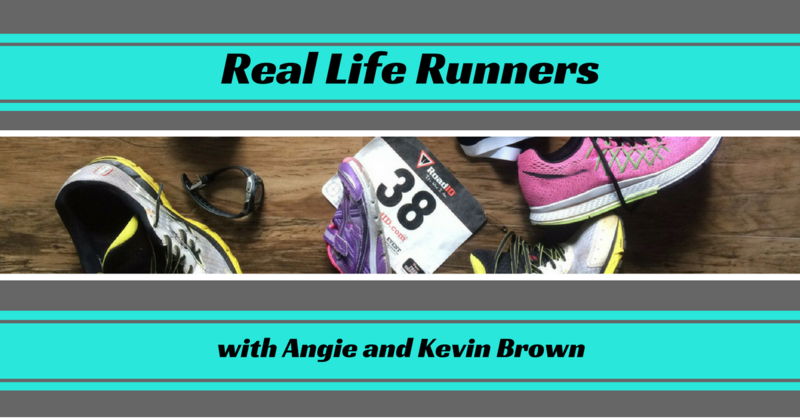 In this episode, we take a step back to look at the bigger picture of running. In general, running tend to be a very numbers-oriented sport. If you gather a group of runners together, it won’t take long before people start comparing PR’s. Check out a runner’s social media feed and you will find lots of mileage, times, and paces. While there is nothing exactly wrong with this it can lead to some negative thinking and undue stress. Today we discuss how treating running as a lifelong journey leads to constant lasting victories rather than the fleeting highs and regular lows a runner can experience when the only goal is to hit one personal best after another. Running, and life itself, should be fun. Step back from the details and enjoy the big picture. The big race is over. You've been training for months, and now it's done. Maybe you met your goal, maybe you didn't. Now where do we go from here? Angie just finished her second half marathon ever, and her first as a mother of 2 last weekend. Keep in mind, our youngest child is 5 1/2 years old. :) It took awhile, but she did it. Today's episode is basically a coaching call between Kevin and her, to go over how the race went, and figure out where to go from here. After each race, it is so helpful to sit back and think about what happened, and if you can talk it over with someone, even better! We think you'll gain some valuable insights on ways to analyze your races to help yourself continue to improve with each one. Ah, shin splints. The new runner's nemesis. Sometimes they even affect experienced runners, but anyone who has had them knows how horribly frustrating and painful they can be. The term shin splints refers to pain in the front of the leg somewhere between the knee and the ankle, along the tibia, also known as the shin bone. This condition can sideline runners for days, weeks, or months if not treated properly. 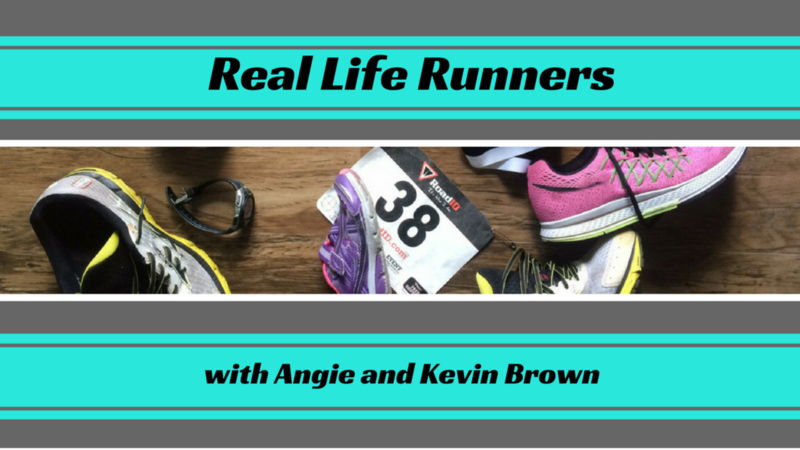 We hope you enjoy this episode and gain some valuable information for you or your running friends! If so, please share it with others! 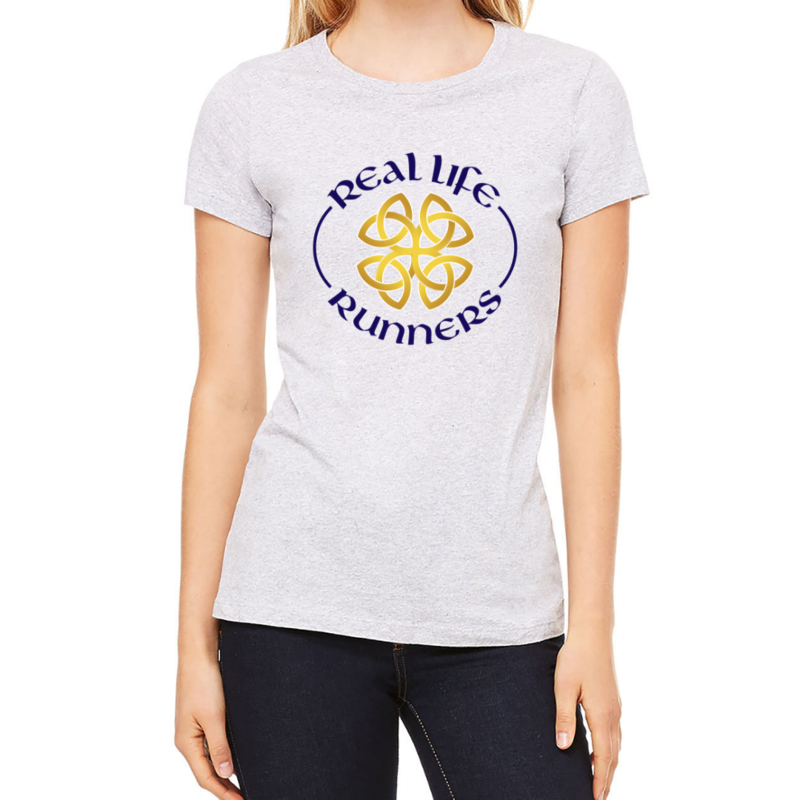 Help us to spread the running love! We've all been there before. Whether we are at the start of our fitness journey or we have fallen off the wagon, we all have been faced with trying to start or restart a healthy habit. We know we need to exercise, but how do we make it a normal part of our day that we don't even have to think about? Enter in The Power of Habit by Charles Duhigg. This latest read explains the science behind habit formation, so we take that information and apply it to starting a workout habit. We've all heard it before: to lose weight, we need to burn more calories than we consume. We need to eat less and exercise more, right? We gain weight because we eat too much, have lack of self-control, and just don't exercise enough. Wrong! Weight control is about so much more than just calories in-calories out. Sure, calorie restriction plans can work in the short term, but then why do 95% of all diets fail? Easy, because it's not sustainable. Our bodies were designed to adapt. If you keep restricting calories, your body will adapt and you will continue to keep cutting back calories to get the same results. You can only cut back so far! There's also millions of other things at play, like our hormones, inflammation, stress, sleep, and life in general. ALL of that plays a role in how our body either gains or loses weight. A few episodes ago, we talked about the benefits of a training plan, and there are a lot! However, today we look at the other side. Are there negatives of following a training plan, and if so, what are they? Well, the first is that training plans don't always take into account our real life. Stuff happens. We are under a lot of stress, we get sick, kids get sick, family drama, lack of sleep - you name it. At any given time, there are tons of things that can derail our training. As runners, we are so committed to our sport, that sometimes we forget that we are also human. Some days, our body can't do what our training plan tells us to do, and that's ok!! There are two main ways that people start on their running journey: on a team or as an individual. Kevin started off on the cross country team in high school and has transitioned into solo running throughout the years. On the other hand, Angie started off solo and has recently started running and training with a group. This week, we talk about some of the pros and cons of running with a group, and highlight some of the awesome things that happen when running with others. We also talk about some challenges to be aware of when running with other people and some ways to avoid some of those pitfalls. The mental aspect of competition often takes a backseat to making sure that you have racked up the miles of preparation. In this episode, we cover one of the worst outcomes of any race...choking. We spend some time going into the nuances of another chapter out of Matt Fitzgerald's book How Bad Do You Want It? to dive into the details of what choking is and how to avoid this terrible race result. Technology has paved the way for huge advancements in running. While not many are going to argue the benefits of shoe updates and wicking fibers, the picture becomes a little less clear when you look at activity trackers and phone apps. Have we become so dependent on technology that we are missing the human component of running and training? Running is bad for your knees, right? That's what we all hear from everyone around us that doesn't run, but is it true? Today, we get a little medical, and talk about a condition that plagues a LOT of runners: knee pain. Here's the spoiler: Running is NOT bad for your knees, when done correctly. Unfortunately, knee pain does tend to affect a lot of runners, so we are here today to help you out a bit.